For many, there is no other holiday in the year quite as magical, spectacular and as anticipated as Christmas Day. In the season of giving, everyone is equally celebrating, and almost everyone experiences a degree of euphoria flowing through them. Considering that this is also the time of the year wherein people have a little extra income (13th month pays do come in handy) and have a few days extra for leaves and vacation days, most people would opt to spend their Christmas holidays someplace else. In the Philippines, while there is a universal feel to how each province would celebrate the most wonderful time of the year, there is a subtle difference in each province that would add to its charm. In this year’s Christmastime, opt to do something a little different, book one of the cheap hotels in Cebu City and experience how the Cebuanos usher in the best and happiest season of the year. 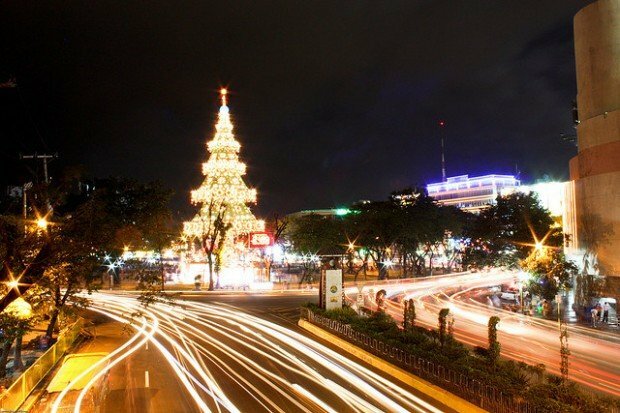 One of the things most Cebuanos look forward to in the advent of Christmas eve is the installation and lighting of the iconic Fuente Circle Christmas tree. Known and regarded to be Cebu city’s heart of the metropolis, Fuente Circle is not only a busy area but a central one that most commuters would pass by. For this reason, it is the prime spot for installing a humongous Christmas tree that most Cebuanos have regarded as symbolic of the start of the holidays. While the tree is already an attractive feature by itself, seeing it against Cebu City’s night skyline is a sight to behold. Whenever you are in the city during this time of the year, make sure to take a lot of photos with the tree. While somewhat of a new Christmas tradition in Cebu, the Symphony of Lights that runs intermittently from 6-10PM during the entire month of December, it is nonetheless a welcome addition. Experience the sight of magnificent and colorful Christmas lights “dancing” in tune with some of your favorite songs while having your supper. Do not worry about missing it as it can be seen every night from 6 PM to 10 PM at thirty-minute intervals in between. You can catch this attraction from December first to January 31st. Although it would take you a bit longer to commute to this area (depending on where you stay), you would soon realize that your lengthy commute would all be worth it. During the Christmas season, Cebuanos are given the avenue of indulging the kid in themselves and providing entertainment to their little tots in the form of Kasadya sa SRP. Fondly regarded as somewhat of a Christmas festival or carnival by the locals, Kasadya sa SRP plays host to a myriad of rides—from the omnipresent carnival presence, the Ferris wheel to carousels. If rides are not your thing, you can simply stroll around and maybe get some grub to fill your stomach at the Food Plaza. Look for a place to plop down and eat your meal while you watch the live performers on stage. Indeed, if you are looking for a different way to spend your holidays, why not spend it in Cebu? In this regard, you can be assured of a grand and fun time—especially when you are with family or friends.